You may have heard about the vulnerabilities of our current power grid with it’s lack of up keep and maintenance. It’s incredibly vulnerable, especially to an electromagnetic (EMP) attack, which appears to be more and more likely in our world of random politically-driven violence and stealth warfare. Big government’s plans to modernize electricity by creating a smart grid appear to be a recipe for disaster. Consequently, a grid such as this would be more vulnerable to hacking and sabotage. A smart grid will be more prone to failure because it relies on the cloud – a fragile and complex network of data centers. 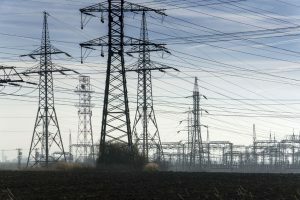 Therefore, it would be more likely to suffer blackouts than the traditional system.Big government’s plans to modernize electricity by creating a smart grid appear to be a recipe for disaster. Consequently, a grid such as this would be more vulnerable to hacking and sabotage. A traditional electric power grid distributes electricity from power plants to homes and businesses directly through a simple system. In addition, human operators control the traditional grid at a few central locations. The traditional power grid is less vulnerable to sabotage because it is low-tech. The problem with the smart grid is the same problem that computer networks: hacking and still being vulnerable to EMP attacks. Advocates will tout the ability to save money by more efficiently routing electricity to only where it is needed in the amount that it is needed, and, to be fair, they have a point. The problem, though, is that no current computer network on that scale has been shown to be completely secure, so it’s fair to assume that the smart grid will be vulnerable to outside hacking attacks instead of only being vulnerable to onsite attacks like the current power grid. This should concern anyone who wants to keep the grid safe from attacks of any kind. Regardless of what happens with the grid, you would do well to be prepared by having your own off grid power supply and/or other ways to keep food cool for storage purposes and to cook. If there was a significant collapse of the electric grid that would take years to repair/replace, I doubt that many customers would go back to the old electric grid system. People living in rural areas could install a whole house battery system energized using a combination of solar and wind power. This idea is not unique and has already been invented by the Tesla Corp, and installed at a number of locations around the world. The advantage of this system is that the customer does not have to rely on the big utility companies for electric power! That works out great for people living in rural areas, yet my concern lies with us folks living in cities, like in apartments where you can’t put up solar panels because of rules against installing anything to the buildings, or in subdivisions ruled by “homeowners’ associations” (the one we have dictates what color we paint our house) that won’t allow solar panels because they’re “unsightly”. My wife and I are saving to buy a farm property well away from metro areas for that reason, among others. My family living in the UK during WW2 had a very difficult time, whether they lived in the county or the city. However, country folk did survive better because they were able grow their own vegetables and have a few chickens for eggs and meat. What you and your wife decide to do is entirely up to you, as is your schedule to purchase a farm. A disaster would occur if the power grid went out. Everything is dependant on conputers. Trucks would not run (gas could not be pumped) communication would be shut down, hospitals would be shut down, most equipment essential for basic equipment would be shut down, Grocery stores would become empty, supply distribution of all sorts would cease, people would soon be hungry and crime would skyrocket and police unable to be notified. Has anyone ever addressed this question? Why? Because no one has the answer to it! It would be the survival of the fittest and perhaps, the most ruthless.